design a better sleep space for summer! Zzzzzzz… oh! You caught us! Sorry to be snoozing a bit; we were putting our latest #tuesdaytips to the test. See, we’re all about focusing on good rest and sleep habits right now. After all, we need all the energy we can get for our summer plans! 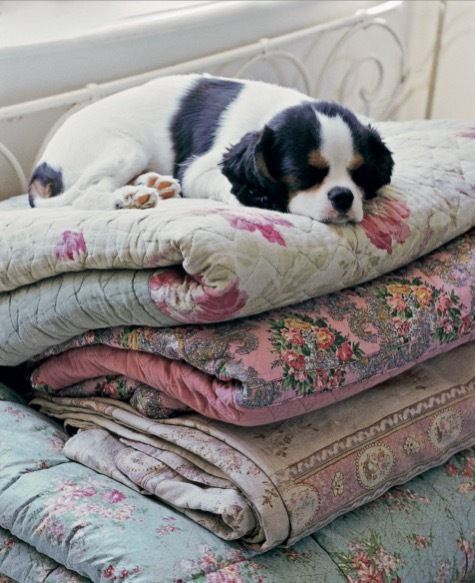 Luckily, Happy By Design has plenty of tips to get enough zzz’s in every night, no matter what- even in warmer weather. Check out the excerpt below for better sleep! Drapes that stop too short or end at windowsill height will usually let in slivers of light around the edges, so if you can, invest in curtains that sweep right down to the floor and help block any light from sneaking into the room. I love the luxurious effect of curtains gently pooling onto the floor, but if that isn’t your thing—and it does divide opinion—just ensure that your drapes lightly brush the floor instead. Make sure they don’t hover shy of the carpet because, as well as allowing light to sneak in, this also has the unfortunate effect of making them look like a pair of trousers that are too short. Blackout fabric is your secret weapon in the fight against daylight and is particularly invaluable in a child’s bedroom if you need to darken the space for midday naps or early bedtimes. Drapes can be backed or interlined with blackout fabric for really good light protection, and blinds can be made in blackout fabric, too. If you use both blackout blinds and blackout curtains, you really will create a hibernation-worthy den. To keep your body temperature at a comfortable level during the night, choose cotton or linen sheets over synthetic materials; the same goes for anything you wear in bed. Natural materials allow your skin to breathe and help wick away moisture and regulate your temperature throughout the night. Investing in an all season duvet is a good option for temperature regulation, too; they are usually made of two lightweight duvets that can be used individually in the summer months and fastened together to create a heavyweight layer for winter. Even with the right bedding, trying to get to sleep on hot summer nights can be a struggle if your room isn’t properly ventilated, so it is important to try to keep your bedroom as cool as possible, even during the day. In hot weather, keep the windows open and the curtains drawn during the day to keep the temperature low, and use a fan if you need to bring the temperature down further before you go to sleep. Try this great tip for creating instant (and cheap) air- conditioning: place a bowl of iced water in front of a tabletop fan, angled so that the air from the fan skims across the ice, and you get a deliciously cool stream of “iced air.” It really does work, and it’s a great trick to try on days when the air is stiflingly hot. Are you feeling “tired but wired”? Too much blue light from digital devices at night is seriously detrimental to your sleep patterns, as it interferes with the body’s production of melatonin, which leads to being physically tired but mentally alert. For example, an hour spent browsing social media on your phone before bed could tell your mind that you are not ready for sleep, while your exhausted body is trying to tell you that you are. To get back on track, try limiting your use of phones and tablets before bed. Or, if you really can’t face doing that, switch the screen to nighttime mode to reduce the levels of blue light. Bright LED displays on alarm clocks can be a distracting light source when you are trying to doze; plus, having a visual reminder of the time when you are desperately trying to get to sleep is never helpful. Choose an analog clock instead, or one without a backlit display, to get rid of unnecessary light in the bedroom. 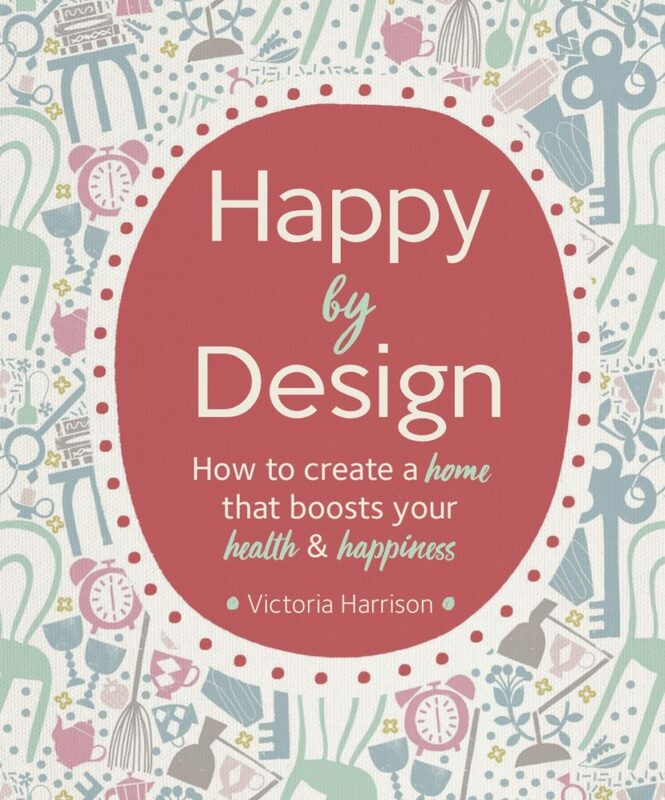 For more helpful tips to cultivate a happy home and life, check out Happy By Design on Amazon now!